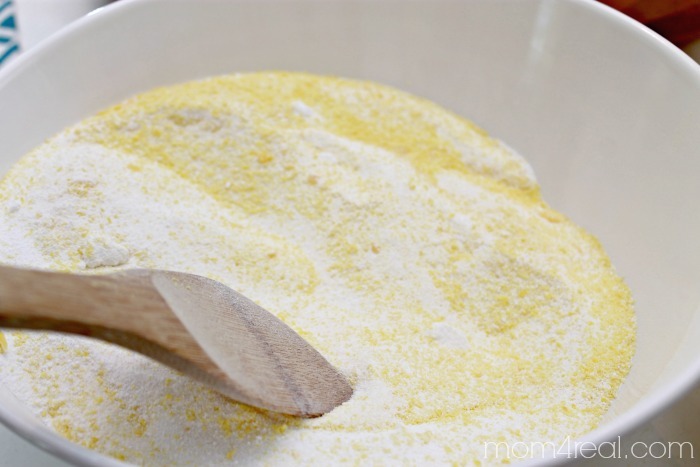 Making your own Homemade Laundry Detergent is by far one of the easiest DIY’s I’ve done so far! Let’s face it, laundry detergent can get expensive. Not only is it getting more expensive by the day, but most store bought laundry detergents are full of additives and chemicals. I love good smelling laundry, but have you ever stopped to consider what in the world they put in there to make it smell so good? In an effort to cut down the use of chemicals in our home, I decided to try making my own detergent, and guess what? I LOVE IT! 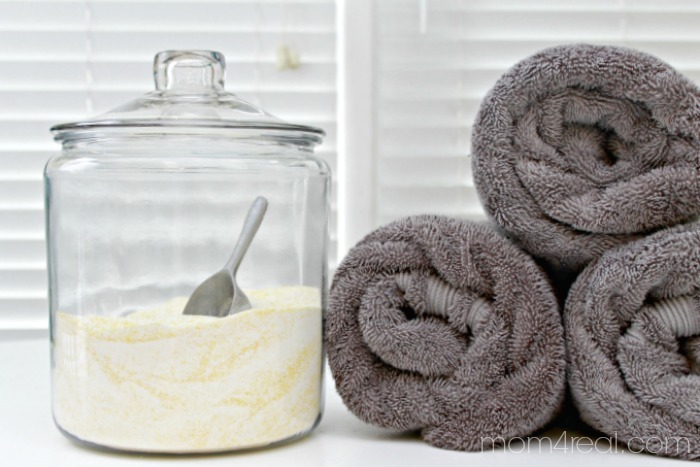 I also make my own Homemade Fabric Softener, and it’s super cheap! 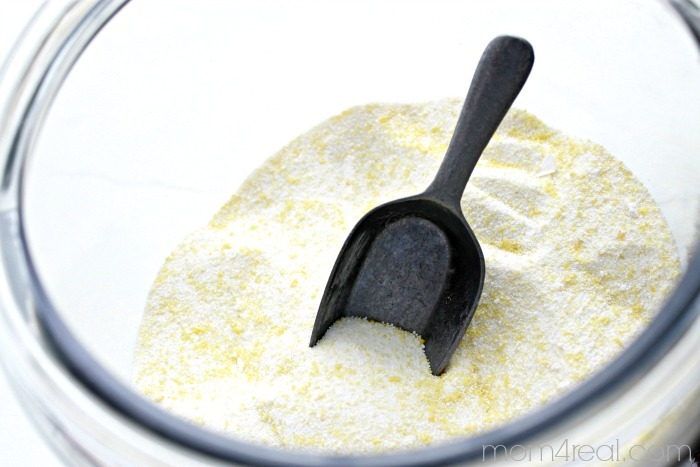 It only takes 3 ingredients to make this detergent, and it is much less expensive than any store bought detergent that I have come across. 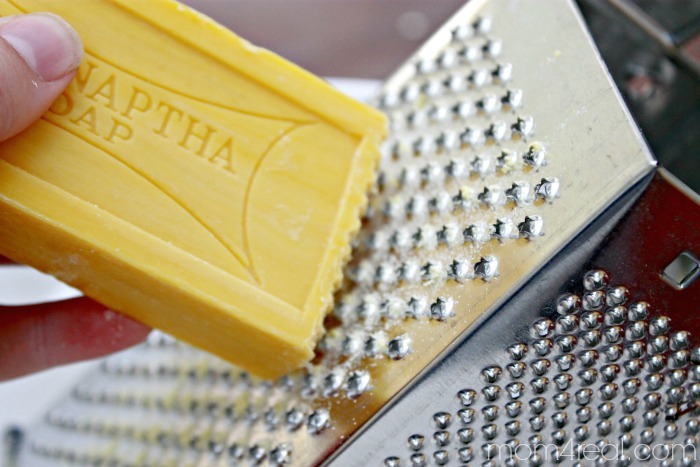 You start by grating one bar of FELS-NAPTHA soap in a bowl. It costs less than $1 per bar and can be found in the laundry section of the grocery store. If you have a food processor, you can grind it up in there instead. It only took a few minutes to grate it using a cheese grater. It will make about 1 1/2 cups. Next, add 3 cups each of the Washing Soda and Borax Detergent Booster. Mix well. I stored mine in a glass containger and added a small scoop! My scoop is 1/4 cup scoop, which is exactly what you will need for each load! It cleans my laundry so well, and actually smells good too! 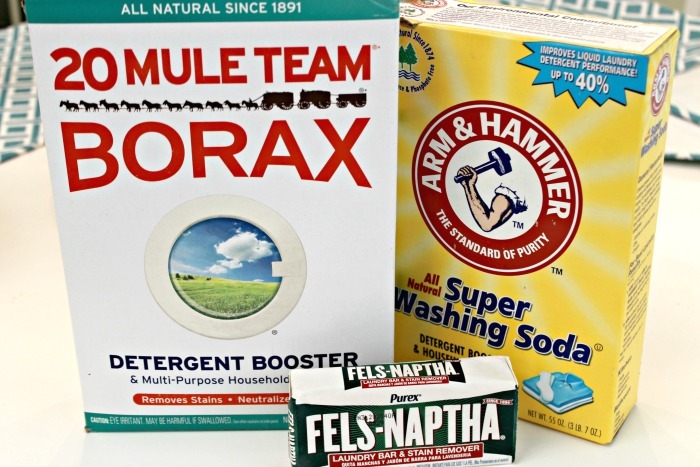 The Borax costs less than $4 per box and so does the washing soda…both can be used multiple times! I cannot guarantee it, but have tried this in an HE washer. It worked fine and didn’t suds a lot, which is the problem with most non HE store bought detergents. Need a little help with getting the stains out of your laundry? 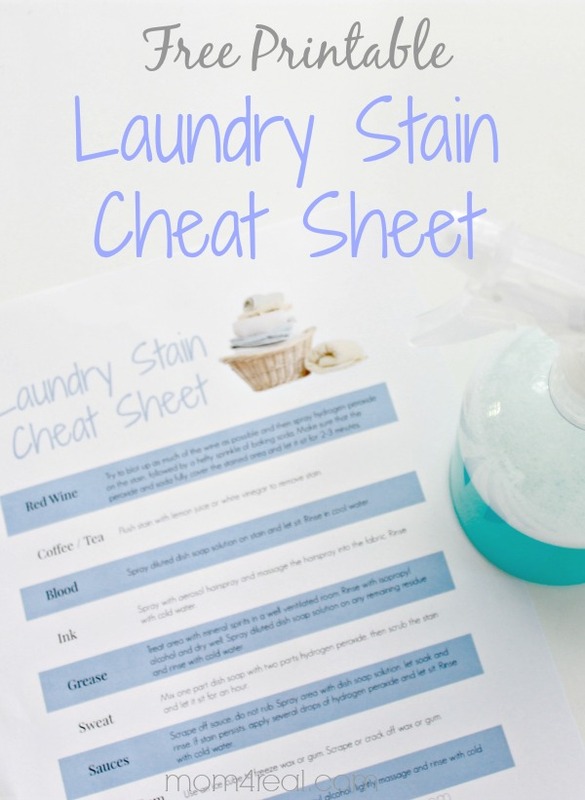 Click HERE to view and print my Laundry Stain Remover Cheat Sheet! What kind of washer do you have? Wondering if this works for he washers? I have an HE and it works great, love it and thank you for ALL your posts!!! I use the formula in my front loader HE. It works very well. I scent it with scent oils.. I never use softener, but do use wool and/or alpaca dryer balls. Hi, I was wondering if this will work for my HE Front Loading Washer? I have a HE washer and I have made this with ivory soap. I used ivory only because the kids did the expand ivory in the microwave experiment and it then crumbles. I didn’t want it to go to waste. I throw it in directly with the clothes and have t tried it in the dispenser, but have had no problems in my HE front loader. I am really trying to find out what I should use overhere in the Netherlands in regards to ingredients. Anybody any idea? I watch my husband’s stinky blue-collar shirts with this as well as baseball pants etc. Stains come out, clothes are fresh. I haven’t noticed much color fading with this recipe either. Downy scent booster is just epsoms salts saturated with fragrance. Save your money! Epsom salts are super cheap then make or purchase essential oil blends to sanitize your laundry. Save the fragrance for the diy softrner! I would just like to add that I have been using an awesome stain remover. It is 2 cups peroxide and 1 cup blue dawn dishwashing detergent. Mix them together and put in a spray bottle. It does an awesome job. Even on sweat stains and mud. We live on a farm and my husband comes in all the time with all kinds of new stains. 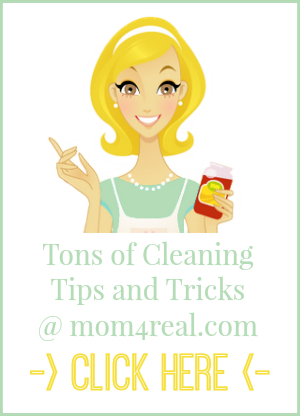 Do you have a recipe for liquid laundry detergent? I have a he washer and I have been using this recipe. It works great . It doesn’t sud up like other brand soaps. I love it. Saves my family a lot of money on laundry detergent. So I love your scoop and am getting ready to make this recipe and have been renovating my laundry area and was wondering where you got it. Thanks so much!!! does anyone have a problem with yellow stains on their clothes, which I think is from the Fells? help I have an old top load whirlpool washer that was my g-mas an still going strong, I live in Pa (USA) an how can I get the stains out, I thought it was something else but where it is winding up is not where food stains would b????? Yellow staining –Might be rust from old washer tub, or something jammed in an edge (e.g., a paperclip or penny somewhere in the old washer). If you put FELS-NAPTHA in the microwave and zap it for about 30 seconds it will blow up and then you take it out. Let it cool down and after a few days you can just crush it into fine particles. It is allot easier than grating it, I always seem to get my skin in it when I do that. But the zapping will be easier to do and you can tell that it is done when it is about ten times bigger than it was. It will also make your house smell too. I cut my bar of soap into smaller chunks and put it in with the dry ingredients into my food processor. I make it in minutes. Have been using this recipe for five years. I will try your Fabric Softener Recipe. Just wondering, does the grated soap dissolve in cold water washes? To save $$$$ on my electric bill I always use cold water for everything! Works well for whites this way also! About once a month I wash my All whites in very hot water and add Clorox. Just for a boost to my well washed white things including old lady protection bed and chair pads! I am very fussy and am happy with my method! I do mostly cold water wash, too. Chlorine does break down rubber (not just in elastic bands; often found in some stitching or ornamentation, not declared on labels). However, hot water or other disinfecting process for underwear and bed linens is important for killing bacteria and dustmites. A good alternative disinfectant: bright sunshine (“UV” light! ), so clothesline drying is a great, safe, cheap way to clean, too. I too always wash in cold and add white vinegar to the wash of my towels and sheets. I read an article not too long ago that stated washing clothes in hot water breaks down the ability for the laundry soap to clean, not to mention the fading and extra wear on your items. Hi! 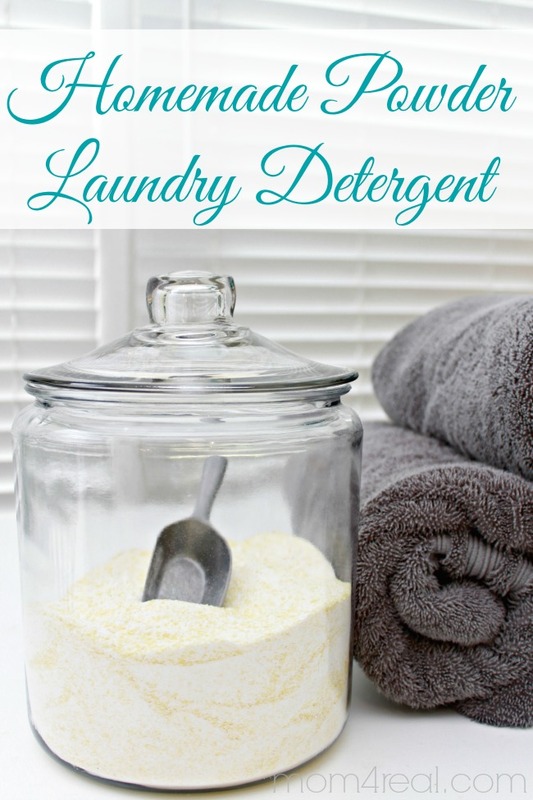 I have a few questions about the homemade laundry detergent so please bear with me! So is there any way you can add a fabric softener to the soap like those downy unstoppable beads? I would prefer to add that than to make my own softener as I want something that will make my clothes smell really good but don’t have time to wait til the rinsing cycle and plus it would make it easier to just throw it all in at once. Would it be a good idea? If not then I’ll consider making my own softener but just adding it in with the soap when I’m washing. Also, does the soap make a lot of suds because that’s what I want. Should I add two bars instead of one or at least a half of a bar with that one too? Does the washing soda whiten or brighten the color of the clothes? It doesn’t change the colors does it? And lastly how does the clothes feel being washed? Are they soft? How many loads can you make with this? Bob, I haven’t made this yet, but the instructions say that the soap makes about 1 1/2 cups, and the Borax 3 cups, the Soda 3 cups. That all adds up to 7 1/2 cups of laundry soap. We are instructed to use 1/4 cup of the laundry soap per load. That seems to be about 30 loads, if my math is still working.???? ???? Pardon my ignorance. I keep seeing things saying “How to clean your Keurig” What is a Keurig? I don’t think we have them here in Australia But we may have similar. Hi, Coral! Kuerig is a brand of coffee maker in the US that uses K cups or coffee pods to make coffee. Hope this helps!